WorldMovieStore - The Ultimate Wave Tahiti Sinopsis. THE ULTIMATE WAVE: TAHITI plunges you into the stunning beauty of an island paradise on a quest to find the perfect wave-riding experience. Nine-time world surfing champion Kelly Slater and Tahitian surfer Raimana Van Bastolaer and a group of friends seek out the best waves breaking on the reef at Tahiti's famed surf site Teahupo'o. Read More Sinopsis. 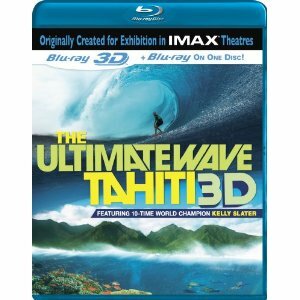 0 Response to "Blu-ray Release The Ultimate Wave Tahiti 3D"